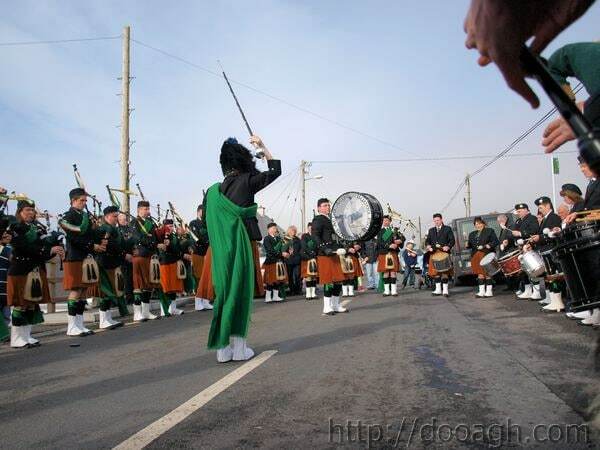 Dooagh Pipe Band was founded on 17th of March 1947 with a membership of 11. 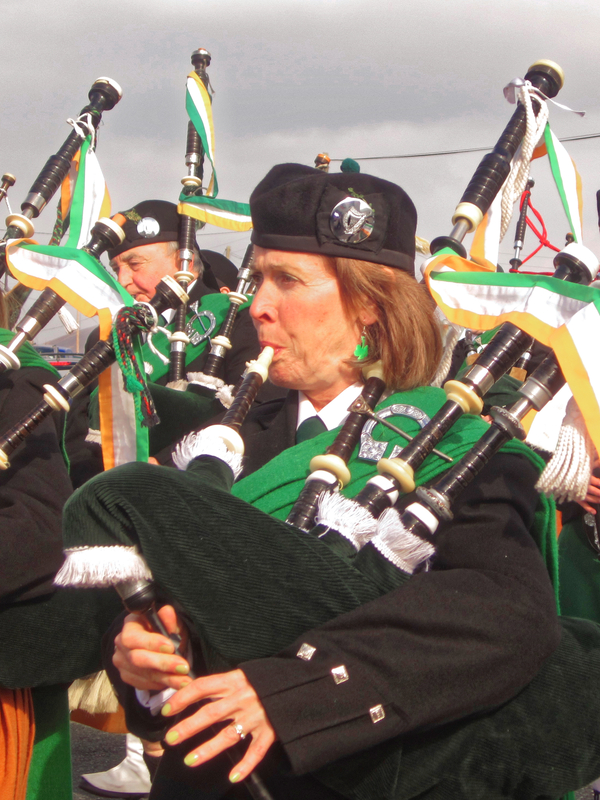 Every year, without fail, the band has paraded on St. Patrick’s Day even through years when the toll of emigration was heavy in the 1950’s and 1960’s. 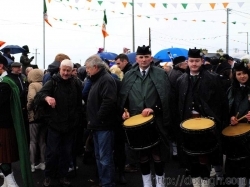 Down the years, equipment and uniforms have been purchased with funds generated by outings, fundraising and donations from the people of Achill, both at home and abroad. The band’s year begins in mid-October when practise sessions start. This is held on a weekly basis on Saturday nights until the end of January. Then the practising begins in earnest with 3 or 4 sessions a week leading up to the highlight of the band’s year – St. Patrick’s Day. 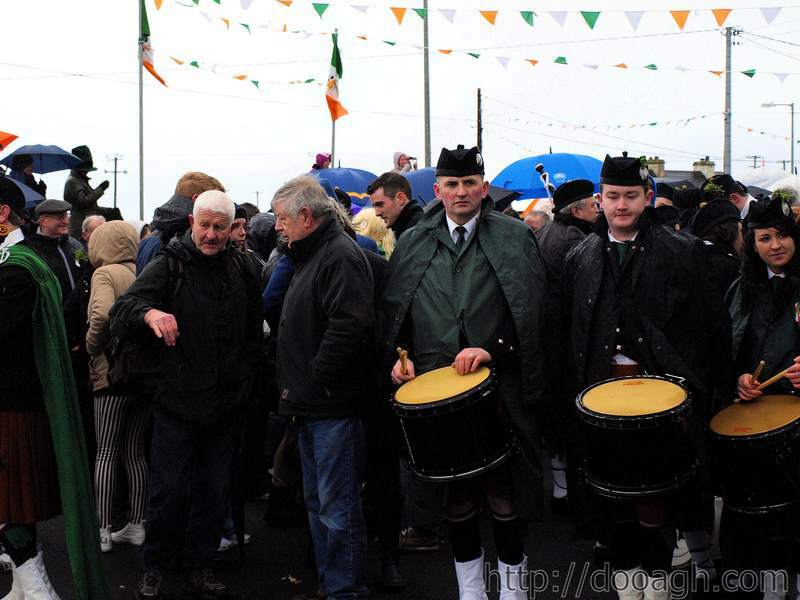 New Year’s Eve is celebrated with a parade at midnight from Dooagh to Pollagh Church where the new year is welcomed in earnest. 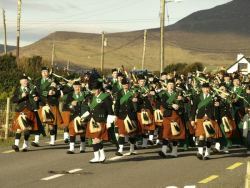 The band attends around 15 functions each year. These range from football matches to weddings, festivals, horse shows and official openings of premises to name but a few. 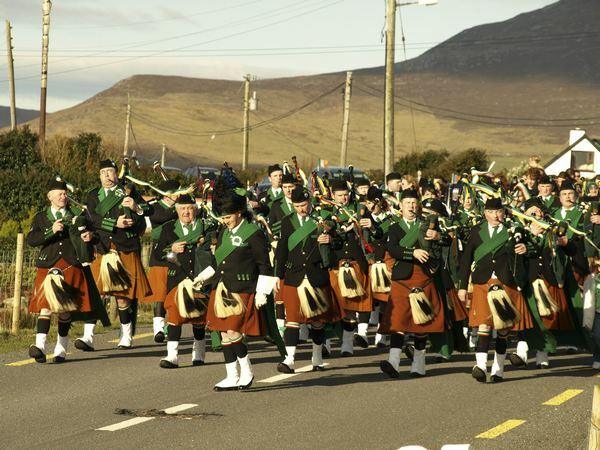 Many generations of Achill’s people have emigrated throughout the world.This website enables many of those people to keep in touch with one of Achill’s most popular events, the St. Patrick’s Day parade. This website first went online in 1997 and is the oldest Irish pipeband website. Yes, it’s even older than Facebook, Twitter or Google. There is also the interest in pipe bands that come from all over the world, judging from the variety of countries that look at this site. Welcome to you all and enjoy the site.